Ask the average person what is MMA in much of the western world, casual fan will likely say – oh you mean like UFC? Ask the same question in many Asian countries and the response is slowly becoming – Oh you mean like ONE? Now sure I haven’t actually tested this to know for sure, but in the world of MMA it certainly feels like a big shift is occurring. As Forbes put it – The UFC and ONE have a duopoly over the sport, where UFC is the king of MMA is the west, but ONE is an even more dominant version in the East. Even Dana White has stated that whenever the UFC go to Asia to do an event a lot of Asian media generally ask him – “Are you guys like ONE?” Dana White then went on to state he thinks ONE are no small players but are a “Monster” which really does speak volumes as to how big they are. You might not know this but at the end of 2018 the owners of ONE championship which is Asia’s largest global sports media property, as well as the world’s largest martial arts organization (which may surprise some in the west) announced that they closed a $166 million financing round, bringing their total capital base to over $250 million. This is an unbelievable amount of investment for such a young MMA organisation which eclipses even what Zuffa invested into UFC before The Ultimate fighter kicked off. Also ONE have now signed huge names from the UFC such as Demetrious Johnson, Eddie Alvarez and Sage Northcutt, who are all household names in the UFC and easily some of the best fighters in the world, as well as having other big names such as: Angela Lee, Roger Gracie, Brandon Vera, and Shinya Aoki. Variety recently put ONE’s valuation at over $1 Billion and the owner Chatri Sityodtong has predicted that ONE will become more valuable then the NFL but also stated his intention to “swallow up” the UFC. Some have cast doubts over ONEs big valuations though due to some uncertain statistics in their profit and loss statements, but there is some things we need to look closer at shortly. One Championship broadcasts to over 1.7 billion potential viewers in 136 countries and averaged around 20 Million viewers per event in 2018 which is massive numbers really. Let’s take a closer look at whos running the show. 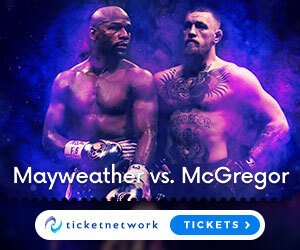 Now before you make any pre-judgments about if ONE Championship are as big as they claim, the first and most important thing to remember is that ONE is owned by the powerful Entrepreneur CEO Chatri Sityodtong who has a net worth of over $1.5 Billion, which is over three times the net worth of UFC president Dana White. Chatri has a fascinating s tory really, because he was born in Thailand in 1971 and his family went through bankruptcy, Chatris has even stated before that he had to live on one meal a day for years. Then he graduated with a B.A. in Economics from Tufts University, and attained an MBA from Harvard Business School at Harvard University in 1999, then from their he went from financial strength to strength as he started climbing the world of investment/hedge fund management before branching out into his own ventures. Chatri is not only an amazing businessman, he is a true martial artist being one of the famous Kru Yodtong Senanan’s Muay Thai students. Chatri is a veteran of over 30 pro Muay Thai fights, with his last one coming as recently as 2008. Chatri also has a BJJ Blue belt under Renzo Gracie and he was named by MSN as one of the worlds best coaches alongside the likes of Greg Jackson, Pep Guardiola and Alex Ferguson. Mr Sityadong has trained, coached or cornered many top MMA fighters, such as: Rafael Dos Anjos, Shinya Aoki, Rich Franklin, Leandro Issa, Tarec Saffiedine, Ben Askren and Yodsanan Sor Nanthachai. Chatri Sityodtong is a truly amazing person and on top of being a boss in the company everyone respects, he has an amazing board of directors encompassing: Saurabh Mittal (Vice Chairman), Hua Fung Teh (Group President), Victor Cui (CEO International), Miesha Tate (VP), Rich Franklin (VP), Matt Hume (SVP of Competition) and Meghan Jenkins (VPInternational). Who could be signing next? Well the thing is that given the amount of money that seems to be pouring into ONE and with newly signed fighters making statements like “Its the best free agent contract in the business and anyone who says it isnt is lying” I really cannot see a scenario where ONE does not continue to keep signing unbelievable talent from all across the world. With Demetrious Johnson, Eddie Alvarez and Sage Northcutt all signing recently, I think those names alone will attract many current well known high level UFC fighters to come to ONE Championships in the near future. I’m not going to start making too many predictions now, but I would not be surprised if Cris Cyborg or Colby Covington ended up in ONE in the near future and while the man has been speaking about doing pro boxing during his MMA suspension, The UFC owners will need to be careful that the mighty UFC Lightweight champion Khabib “The Eagle” Nurmagomedov does not get enticed to join the ranks of ONE. But at this point really it will be any fighter who seems bitter about the UFC owners is likely to end up switching to ONE as the MMA giant continues to grow in Asia and the West. the future is bright – let the rise begin! I may have thrown a few names out their that I think are possible signings for ONE in 2019, but the general emergence of ONE as a true competitor and in Asia larger MMA organisation then the UFC is all positive for the sports. It makes the sport of MMA more enjoyable for me personally and fairer for the fighters when more of the profit of putting on big fight cards gets filtered down to the fighters – many UFC fighters have complained about the lack of money being given to fighters, yet in ONE a the moment it seems to be the complete opposite. So I really think there is a possibility of a monkey see monkey do type of situation and if the UFC don’t start paying some of their fighters better, we could even see a mass exodus of high level fighters leaving the UFC to join ONE. One thing is for certain though, it has never been a better time to be an MMA fighter with so many high level promotions now emerging such as UFC, Bellator, Rizin and of course ONE. The future really is bright and for any of you current or aspiring pro MMA fighters out there – don’t just accept what you are offered straight away if you have options, always know your worth and go with the promotion that gives you the most respect and importantly best deal financially to go with that for you and your family, because MMA is a short career – squeeze the most pennies out of it that you can, because when your retired you will be glad you did. That it for today but I hope you learned and enjoyed this post, so if you did then please leave a comment or question below – like, share, subscribe and as always stay tuned for more from the world of MMA right here at the MMAGateway. Hey Louis, thanks for your feedback, glad you watch the UFC when you can MMA is constantly growing every year and yes ONE will continue to grow in strength until they are as well know in the west as the UFC. But its hard to say if they will actually swallow up the UFC. Also are you training yourself right now? You should have a look at this awesome Freestanding bag when your ready! HI! Chatri Sityodtong is indeed an interesting personality. Where does he have time to juggle all those balls and continue to expand ONE. I honestly don’t know how the UFC has managed to retain all those big names. But if the present circumstances continue, it all looks paved for ONE to swallow up UFC. Why do you think most of the big UFC fighters haven’t moved over to ONE yet? Hey Henry, yeah exactly Chatri is a real enigmatic character and truly successful businessman and the best businessman always find ways to manage all their businesses with relative ease. Yes the UFC owners will have to make some big changes over the next few years to their pay structures because it is likely that many fighters on the UFC roster will just move to ONE. The reason more haven’t done it is down t o fear a bit I think – fear of annoying the UFC owners, fear of moving to a different promotion, fear of possibly having to move to a new country, it all could factor in. Do you have a wife that loves training? She will LOVE this! Also do you like watching the Joe Rogan MMA Show? Check this out if you do! Hi Michael, glad you are enjoying starting your learning about MMA. You can clearly tell that MMA in Asia is a big which it is, but ONE is much bigger in Asia then the UFC. Anyway of you want more MMA material for your learning then tell me – how do you move up the UFC Rankings? Also are you looking for some dumbbells that will help you train at home? Try THESE! I just read your article of one championship and i found this very informational and helpful, you have discussed about lots of things and you have give clear idea about chatri whom i did not heard before. it is really a great post with lot of mma information, i really appreciate your hard work and will share this with my friends. Hey Tawhid, thanks for your feedback bro! Yeah Chatri is a legend in Asia and his name will be known more and more in the west in the future as ONE continues to grow. Want a cool UFC hoodie to wear? I LOVE this one! And if your new to MMA make sure you stay on top of the schedule for upcoming fights! Good afternoon MarleyMy father and uncle love wrestling shows very much. But I don’t so. Because I think the TV show like WWF is one kind of acting. Nevertheless, I read your review and just shocked. It’s really amazing that One Championship broadcasts in 136 countries and approximately 20 million people watch it! Not only that, its a genuine martial art show that I ever seen. For such a dynamic job I want to thank the owner of One Championship Mr. Chatri Sityodtong who is an entrepreneur CEO as well. I deadly inspired after reading the tiny bit autobiography of the legend Chatri. Thanks a lot, Marley for your tremendous article.Regards, Ranao. Hey Ranao, yes WWF is definitely scripted and not real fighting, but as you can tell ONE is the real deal – sounds like you have become a new fan! What Mr Sityodtong has achieved is really unbelievable, i think his life would make an amazing film, he really is a legend and has built a true quality MMA product with ONE. But if like ONE you have to also find out about the UFC more, so download the app for free! Also if you like training you might want to get a treadmill that you can use at home! Thanks again for your supportive feedback! Hi Marley,You are thanked very much for writing too clearly. I did not know what is MMA and ONE before. Even I had no knowledge about One championship. I read these informative articles written by you and found out their history. I saw the MMA Gateway website full and it was a lot of surprises. I’ll share it on my social site. Hi Irin, good to hear you appreciated learning about ONE and MMA in general, also im glad that my writing was nice and clear for you 🙂 but yes feel free to share the gateway on any platforms you like! Also if you still want o learn more about MMA then find out about the Psychology of a martial artist, also if you start boxing get some QUALITY gloves! Hi Marley, I read these informative articles written by you and found out their glorious history. I saw the MMA Gateway website full and it was a lot of surprises. MMA is most popular to westerns. they deal with their business trustfully. One Championships also very famous organization.I’ll share it on my social site. Thanks again Irin, Yes MMA is very popular in the west mainly because of the UFC but, MMA is very popular in Asia as well which is mainly due to ONE in recent years. What do you think about the UFC Ring Girls? Also do you have any kids that want to train? Get them some equipment that will help them accel!